POLL: Favorite Bonus Track On ‘Kickin’ & Screamin”? Kickin’ & Screamin’ also has three available bonus tracks, which one is your favorite? “Bad Man” came with the Kickin’ & Screamin’ pre-order. 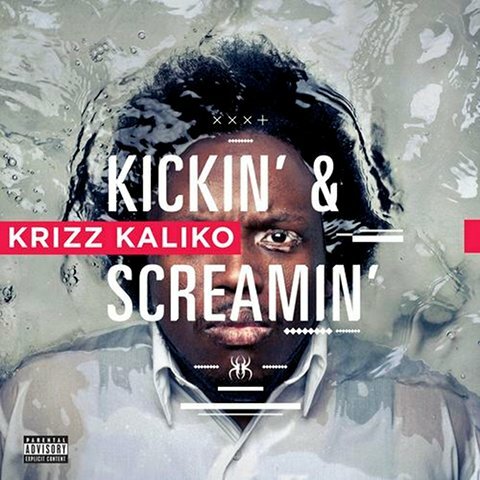 This track brought out the rasta-man in Krizz Kaliko and features a slinky beat with off-beat drums that are signature of producer Jomeezius. “So Hard” and “Layin’ Down” come with the iTunes Deluxe Version of Kickin’ & Screamin’. These tracks have the similar subject matter of relationship hardships but feature drastically different approaches. “So Hard” is produced by Seven and is as heavy of a sound as you could ask for, sounding like it was taken from a Nine Inch Nails record with Krizz Kaliko crooning away on the chorus. The exotic “Layin’ Down” features Liz Suwandi delivering another hook that is both original and catchy in equal parts. The Nardo-produced beat sounds like something from Timbaland’s vault, and is a new sound for the Strange Music library. Favorite Kickin’ & Screamin’ Bonus Track?